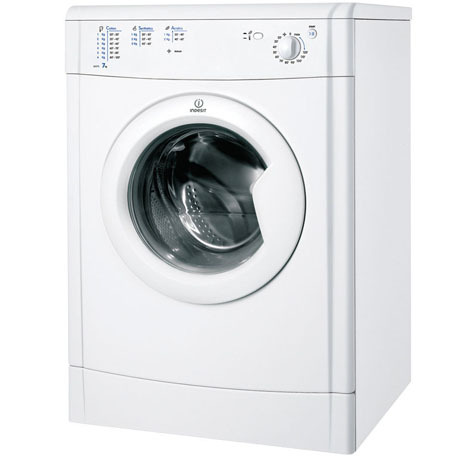 This Indesit Vented Tumble Dryer is perfect for a family household. 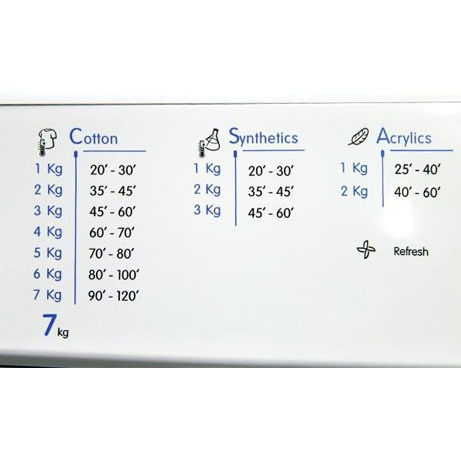 Boasting a load capacity of 7kg, and a large door makes it easy to load and empty the dryer. An energy efficiency rating of B means that using this machine will not result in expensive energy bills. Its reverse tumble action reduces creasing to make ironing quicker and easier, and stops your garments from getting in a tangle. 12 different programmes including Acrylics, Cottons, Synthetics and Refresh let you take good care of all of your garments so that they last longer. The Indesit vented white tumble dryer is a classic addition to your home. A comprehensive guide printed on the front of the machine helps you to select the correct temperature for your cycle. This Indesit Ecotime tumble dryer comes with a 7kg drying capacity. The 7kg drying capacity of the Indesit tumble dryer offers plenty of space for the drying needs of small to medium-sized households and, as a guide, can hold up to 35 T-shirts per cycle, or a double duvet. 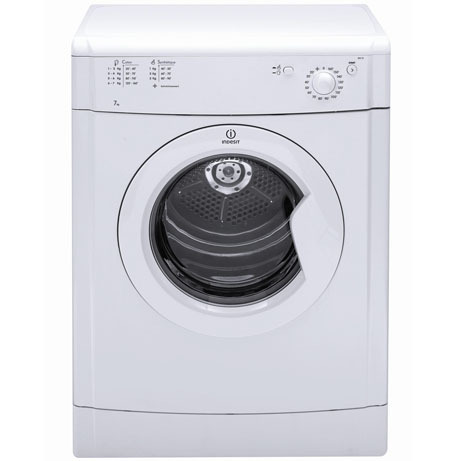 This Indesit dryer is 59.5cm wide by 55cm deep and 85cm high. This Indesit tumble dryer features a guide to the best programme cycle for your needs and helps you to customise the time and settings for specific washes such as acrylics, synthetics and standard cotton cycles. This vented tumble dryer comes complete with a refresh cycle to spruce up your clothes and linen. Install the Indesit vented tumble dryer near a window in your home to ensure easy ventilation. An extraction hose transfers any excess water outside to keep your cycle constantly heated as it dries. The Indesit vented tumble dryer is rated B for energy efficiency and runs at an energy-consumption rate of 472kWh/year to help keep costs low.